Large Natural LI Rock Retaining Walls last a Long Time ! Generations from now let your great grandchildren say 'That wall was built by my Great Granddaddy', Solid just like my Family !! Long Island Sandstone Boulders, left over from the Glacial Till. They come to the surface on Long Island sometimes on their own, other times they must be brought to the surface to bask in the sunlight ! They have been sleeping in the rich sand of Lond Island. 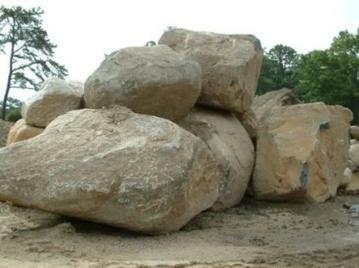 Skyview Stone can deliver the size of the Long Island Boulder you need. Long Island Boulders come in many shapes, sizes. Control Soil Erosion with Decorative Natural Landscaping. Tell what size, type, & color Wall Rock and how many you need and we will deliver to your property. Come on down and pick out the size you like. 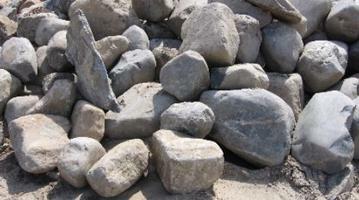 Rock ... with Character, big or small, you choose the right Wall Rock for the Rock Wall on your LI Property. Inland Gabion Basket Walls filled with Core Stone & RipRap can help prevent landslides & maintain river banks with Erosion Control Management Rock. Large Long Island Boulders, can you imagine the Size of the Natural Rock Retaining Wall you could make with these LI Glacial Grown Boulders ? They also come in smaller sizes . 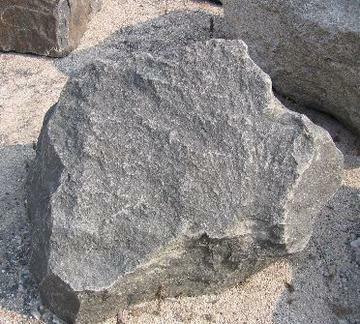 Granite Rock is an awesome Wall Rock, brown to grey in color usually and sometimes hints of green and pink. Call on the size of the wall you want to build, the location, the time frame of the job and how big of a truck can deliver the rock where you need it ( 10 wheeler or tractor trailer trucks). 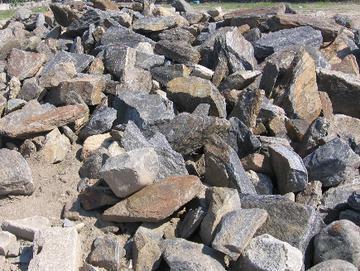 And we will quote you the delivered price of your wall rock. Choose the Color you want your Wall to be, Red, Green, White & Grey or Brown. 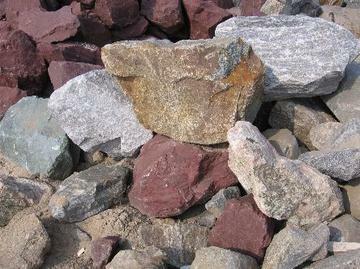 Tell us the size diameter Rock you would like, the color, where & when, and we will deliver for you to the site ! Gabion Wall Stone, Rip Rap, Wall Basket Stone, 5" to 10" in size. For Erosion Control & Prevention, Drainage Stone, or in a Waterfall, this Stone is Blue to Grey in Color. 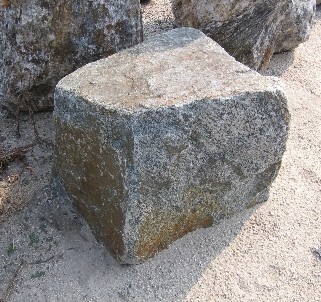 This Stone also can be delivered in large Rock, tell us what size you need. 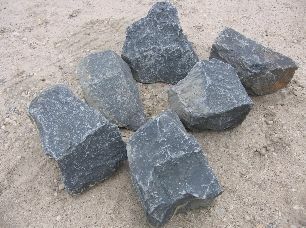 This Black - Grey Rock comes in many different sizes from very small stones to very large boulder rocks. Let us know what size you need, how much, location & when! How about a brighter color wall? 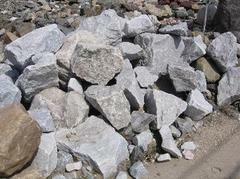 White and Grey Limestone Rock, for your wall or landscaping design. Maybe a a beautiful White and Grey Waterfall with the cool crisp clean water cascading down on you in your own swimming pool ! Manhattan Granite is used in waterfalls and for wall rock. Some has a silver sparkle and others have a gold sparkle. How much does God love the world ? Property Line Borders made of Natural Boulders & Rock. "HEBREWS 11:3 ... By faith - by believing God - we know that the world and all the stars - in fact, all things - were made at God's command; and that they were all made from things that can't be seen."